Gennemsnit af vurderinger - Baseret på 124 anmeldelser. meget spændende og interessant på gr. af historien. Den gamle bydel var superhyggelig at gå i og udforske. Masser af gode spisesteder. The landscape of the Cordoba province is diverse, with rolling plains, the Guadalquivir River, and the rugged Sierra Morena. The province is dotted with whitewashed villages with ancient monuments and buildings, and Moorish castles. vineyards and olive groves being a characteristic feature of the landscape, especially south of Cordoba. 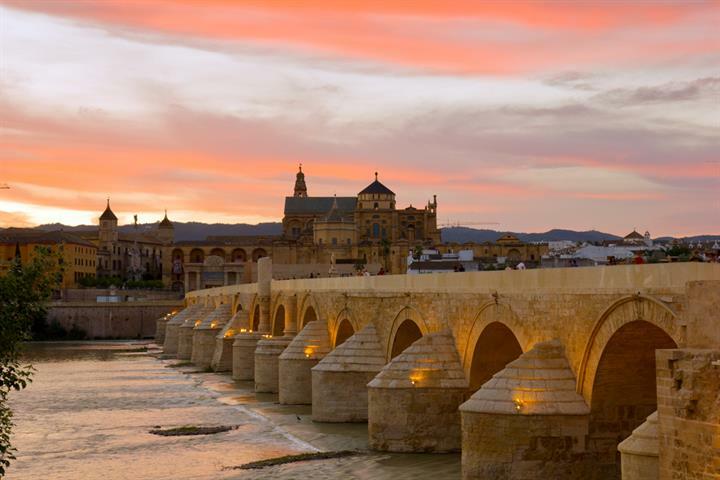 The province of Cordoba is divided into two parts; to the north is the Sierra Morena, which is populated with rolling hills, which create a natural barrier in between northern Andalusia and Extremadura. It’s not a typical touristic region and can be quite wild and remote in part, and with its architecture more typical of nearby Extremadura or Castile La Mancha, than Andalusia. Some of the towns and villages of this area include Espiel, which clings to the mountainside, Belmez, which sits pinned to a rocky crag, which is crowned by a castle. Fuente Obejuna is the last town before you cross into Extremadura. The Sierra de Hornachuelos Natural Park is the largest park in the province of Cordoba, situated in the Sierra Morena it is home to a large colony of vultures and other species. The area has been designated a Biosphere Reserve. The Sierras de Cardeña and Montoro Natural Park is located in the eastern region of the Sierra Morena and has an amazing Mediterranean Ecosystem with its cork and oak forests. The southern sierras form the dramatic and rugged peaks of the Sierra Subbeticas Natural Park, where you can also visit the charming town of Cabra, which has an interesting history and lots of attractions, including an archaeological museum. Further south you come to the town of Lucena, which is again a historical town with some fine examples of Baroque architecture; it’s also a great place to shop. The mountain village of Zuheros boasts a spectacular cliff side position and the intriguing Cueva de los Murciélagos (Cave of the Bats). The pretty village of Luque is also located nearby. Luque perches on a rock, and crowned by a castle. 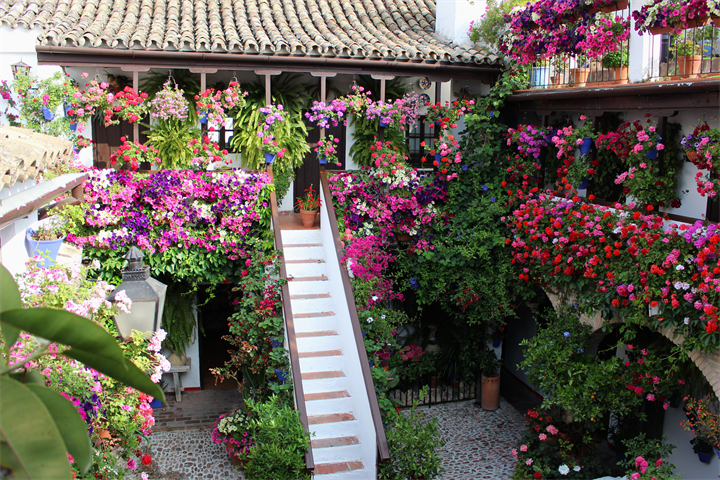 The diversity of the province of Cordoba means that you will not be short of activities. If you enjoy rural tourism and outdoor pursuits then you can indulge in activities including hiking, rambling, mountain climbing, canoeing or sailing on the reservoir or river. 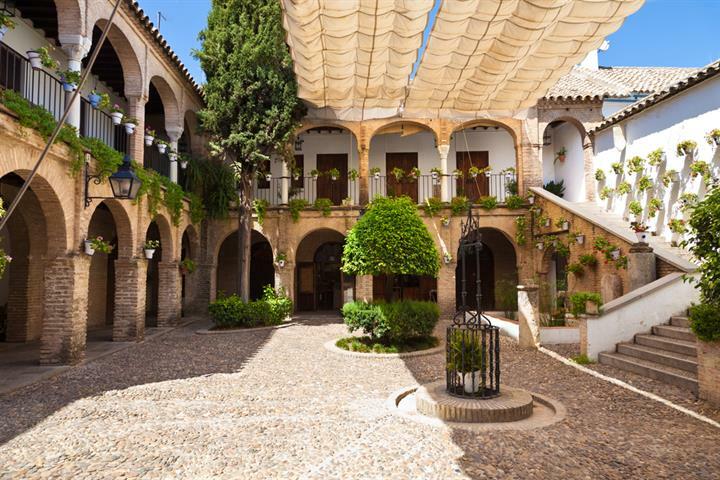 If you enjoy bird watching, or horse riding, then Cordoba can fulfil, and you can also do take part in a spot of wine tasting, or simply visit the wonderful ancient villages that dot the landscape. Morcilla (black pudding) are both typical of the area. The local produced wines from Cordoba are similar to those of the Sherry from Jerez. The region produces a ‘fino’, which is similar to dry sherry; Pedro Ximenez is the main production for the regional wines. generally mild, and the winters do get slightly colder, than the protected Costa del Sol and Malaga region. Alcazar: Romerske fæstning, maurisk palads, kristent slot. Hvad gør denne smukke bygning så speciel? Vil du udforske Cordoba under din byferie? Lad vores spadsereture med tema være din guide gennem denne andalusiske perles skønne gader! Gårdhaver er en integreret del af Cordobas historie. Mød personerne bag traditionen og få mere at vide om denne smukke og farverige tradition. Tag med rundt i nogle af Córdobas mest imponerende gårdhaver: de 12 gårdhaver i Palacio de Viana! Og der er adgang hele året! Den tidligere moske La Mezquita er et must, når du besøger Andalusien! Sjældent møder man så storslået et bygningsværk med så enestående en historie! Ferie for hele familien: Benamejí byder på både aktiv ferie og ro til at dase ved poolen! Læs mere om river rafting og den næsten faldne landsby. Maj i Córdoba er en fest for sanserne - Fiesta de los Patios er en eksplosion af farver og dufte! Læs mere og se video fra Córdobas blomsterfestival. Interview med Alan og Lorna Parks om deres exceptionelle gård i Córdoba og byens fortryllende seværdigheder. Fantastisk lille bjergby. Selve byen er hurtig overset, men der er hyggelige gader, en kirke og en gammel borg som giver byen sit særpræg. Fin lille by, desværre var restauranten ved kirken lukket da vi var der. Men den skulle være værd at opleve. Spændende lille bjergby. Værd at se og bruge. Meget autentisk by. Stille og rolig. Flot udsigt. Desværre ikke nogle gode restauranter i byen men gode steder 5 - 20 min kørsel herfra. Meget hyggelig by, men der sker jo ikke meget. Very ralaxing - but not much to do. There is a few rastaurants in the area but they are not very interesting.